Many of us are familiar with the fables attributed to an ancient Greek named Aesop. In one of those fables, "The Tortoise and the Hare," a hare constantly boasted that he was the fastest of all the animals. So, tiring of the hare's arrogance, a tortoise challenged him to a foot race. Now, the hare clearly could have won, but because he was so certain of his victory, so full of pride in his great abilities, he took a nap in the middle of the race. And while the hare was sleeping, the tortoise crossed the finish line ahead of him. In certain ways, many Christians living in the city of Corinth during the first century were like the hare of Aesop's fable. Just as the hare counted himself the winner before the race was over, many Corinthian believers thought of themselves as winners before the race of their Christian lives was over. They looked at their earthly prosperity and at their special spiritual gifts, and then deluded themselves into believing that the Lord had made them superior to everyone else. They thought that God had blessed them far more than he had blessed other Christians who had fewer earthly treasures and less spectacular spiritual gifts. 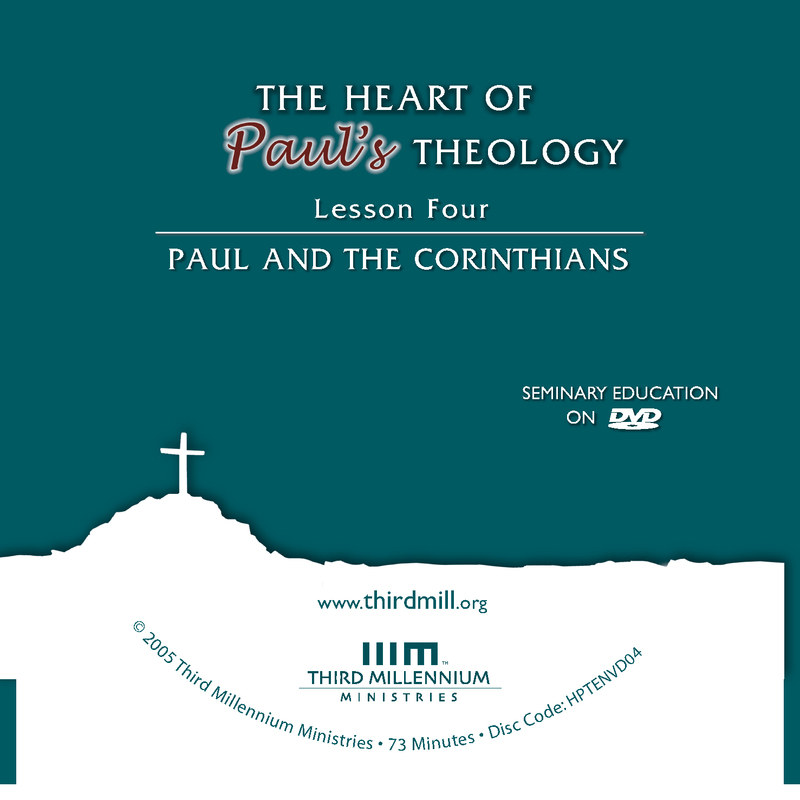 This is our fourth lesson in our series, The Heart of Paul's Theology , and we have entitled this lesson, "Paul and the Corinthians." In this lesson we will see how Paul addressed these proud Christians in his letters now known as 1 and 2 Corinthians. Although Paul had many specific problems to address, he centered most of his attention in these letters on the main source of their many problems: the false belief that some of them had already crossed the finish line of the Christian life, while in reality the race was still on. Our study of Paul and the Corinthians will divide into three parts. First, we'll look into the Background to Paul's letters to the Corinthians; second, we'll examine the structure and content of 1 and 2 Corinthians; and third, we will see how Paul's letters revealed one of his central theological outlooks, his doctrine of the last days, or his eschatology. Let's look first at the background to Paul's letters to the Corinthians. As we have emphasized throughout this series, the Apostle Paul wrote his letters in order to address particular issues that arose in different churches. So, as we look at 1 and 2 Corinthians, we need to ask some basic questions: What was going on in the Corinthian church? Why did Paul write to them? We'll answer these questions in two ways. First, we'll explore Paul's third missionary journey, and second, we'll delve into some particular problems that developed in the church of Corinth. Let's look first at Paul's third missionary journey. Paul's third missionary journey is recorded in Acts 18:23 through Acts 21:17. In these chapters we learn that Paul largely repeated the itinerary he followed on his second missionary journey. Paul began this trip around the year A.D. 52 or 53. As with his first two missionary journeys, he started in Antioch in Syria. In Acts we learn that he strengthened the believers throughout Galatia and Phyrgia. We are not told of specific cities he visited in these areas. Probably, he visited at least some of the cities in which he had previously ministered, such as Derbe, Lystra and Iconium in Galatia, and perhaps Antioch in the Phrygian region. Having passed through Galatia and Phrygia, Paul arrived in the coastal city of Ephesus in the province of Asia, or Asia Minor. Upon his arrival in Ephesus Paul encountered twelve disciples of John the Baptist, who quickly received the gospel of Christ. At first, Paul evangelized in the synagogue, but within about three months, the Jews became hardened to his message. So, for the next two years he preached the gospel and performed miracles elsewhere in the city. Eventually, however, Paul and his compatriots came into conflict with the artisans who crafted shrines of Artemis, the patron goddess of Ephesus. Evidently, Paul had won so many converts to Christ that the market for pagan shrines had shrunk considerably. As a result, the artisans nearly rioted, threatening the safety of some of Paul's associates. After this event, Paul and his traveling companions spent several months in Macedonia and Achaia, regions that lie within modern-day Greece. Luke's record on this part of Paul's journey is scant, yet he does mention that the company started their return to Asia from the city of Philippi. Paul and his companions disembarked at Troas. Because he planned to remain there for only one day, he gathered the believers and spoke to them late into the night. As Paul spoke a young man named Eutychus fell asleep and fell to his death from a window. However, Paul miraculously revived him. Leaving Troas, Paul and his company traveled to the neighboring city of Assos, where they again took to sea. They stopped in Mitylene, Chios and Samos, and eventually reached Miletus, where they remained for a brief period. While in Miletus, Paul sent for the elders of the church in the nearby city of Ephesus. He gathered them in Miletus to give them some parting instructions and to bless them. After this, the company set sail again. Passing through Cos, Rhodes, Patara and Cyprus, they landed in Tyre, where they ministered for a week. From there they sailed to Ptolemais, then to Caesarea, where the Judean prophet Agabus warned Paul that he would be arrested in Jerusalem, confirming what Paul already knew to be true. Yet, not dissuaded by Agabus' prophecy or by the pleading of his friends, Paul continued on to Jerusalem, where he ended his journey around the year A.D. 57. Paul wrote his two canonical letters to the Corinthians during this third missionary journey, as well as two additional letters that have not been preserved. First Corinthians was probably written from Ephesus, perhaps in A.D. 55. Shortly after sending this letter, Paul briefly visited Corinth, during which time he was grievously offended by a member of the church there. Subsequent to this visit, he wrote a letter that is now lost to us, sometimes called his "Sorrowful Letter." Later, after receiving a report from Titus about the positive way his sorrowful letter had been received, Paul wrote 2 Corinthians, probably from Macedonia, and most likely within a year or so of writing 1 Corinthians. Now that we have seen how Paul's epistles to the Corinthians fit within the context of his third missionary journey, we should look at some specific problems within the church in Corinth. What issues were causing them turmoil? Why did Paul have to write to them so many times? As we read in Acts 18, Paul had planted the Corinthian church during a prior missionary journey, and had lived in Corinth for at least a year and a half at that time. But after his departure the Corinthian Christians forgot some of Paul's teachings and misapplied others. As a result, a number of significant conflicts and problems arose in the church. As we will see, many of the problems that arose in Corinth stemmed from a misunderstanding of eschatology, how Christ had brought the age to come, the age of salvation and life. Many of the Corinthians had come to believe that they had actually received more of the blessings of the future than anyone else; they thought they had already received the ultimate blessings of God. For our purposes, we will see how this misunderstanding led to four conspicuous problems: first, damaged relationships within the church; second, sexual misconduct; third, abuses in worship; and fourth, a rejection of Paul's apostolic authority. Let's turn first to the problem of damaged relationships. Paul addressed several different types of damaged relationships in his letters to the Corinthians, including such things as rival factions within the church, lawsuits between believers, disregard toward the poor among them, and a failure to minister to the poor in Jerusalem. Let's look first at the problem of rival factions. One of you says, "I follow Paul"; another, "I follow Apollos"; another, "I follow Cephas"; still another, "I follow Christ" (1 Corinthians 1:12). What, after all, is Apollos? And what is Paul? Only servants, through whom you came to believe — as the Lord has assigned to each his task … No one can lay any foundation other than the one already laid, which is Jesus Christ (1 Corinthians 3:5, 11). Peter, Paul, Apollos and other human leaders obeyed Jesus in all things. They did only what Jesus had appointed them to do, which was to preach his gospel and to build his church. The very fact that you have lawsuits among you means that you have been completely defeated already. Why not rather be wronged? Why not rather be cheated? Instead, you yourselves cheat and do wrong, and you do this to your brothers (1 Corinthians 6:7-8). As you eat, each of you goes ahead without waiting for anybody else. One remains hungry, another gets drunk… Do you despise the church of God and humiliate those who have nothing? (1 Corinthians 11:21-22). Last year you were the first not only to give but also to have the desire to do so. Now finish the work, so that your eager willingness to do it may be matched by your completion of it (2 Corinthians 8:10-11). Paul commended them for expressing a desire to meet the need of the saints in Jerusalem, but he had to press the issue throughout 2 Corinthians 8 and 9 to get them to follow through with their promise. It is actually reported that there is sexual immorality among you, and of a kind that does not occur even among pagans: A man has his father's wife (1 Corinthians 5:1-2). In this context, the Greek term echo, here translated "has," means "lives sexually with." The Corinthians were so confused in their theology that they actually took pride in tolerating this man's sexual relationship with his stepmother. Each man should have his own wife, and each woman her own husband. The husband should fulfill his marital duty to his wife, and likewise the wife to her husband… Do not deprive each other except by mutual consent and for a time… Then come together again so that Satan will not tempt you because of your lack of self-control (1 Corinthians 7:2-5). The Greek word echo appears in this text also, where it is translated "have" in the phrase "have his own wife." As we have already noted, in this type of context echo means "live sexually with." Paul exhorted married couples to maintain appropriate, ongoing sexual relations in order that they might fulfill their marriage covenant and protect themselves from sexual temptation. A third major problem in the Corinthian church was misconduct in worship. We have already seen that one of these was the mistreatment of the poor during the Lord's Supper. Beyond this, issues also arose with regard to three other issues: gender roles, the use of spiritual gifts, and meat sacrificed to idols. Every man who prays or prophesies with his head covered dishonors his head. And every woman who prays or prophesies with her head uncovered dishonors her head (1 Corinthians 11:4-5). Scholars disagree as to whether Paul was speaking of the use of prayer shawls or veils, or whether he was referring to hairstyles. There is also a lack of consensus as to the identity of the "head" that is dishonored. Some think "head" refers to that part of one's body, while others believe that the man's head is Christ and the woman's head is man. But regardless of what these terms denote, the underlying issue is clear: men and women were acting dishonorably in worship, in part by blurring the appropriate distinctions between the genders. In the second place, Paul also dealt with the use of spiritual gifts in worship. Everyone has a hymn, or a word of instruction, a revelation, a tongue or an interpretation… If anyone speaks in a tongue, two — or at the most three — should speak, one at a time, and someone must interpret… Two or three prophets should speak, and the others should weigh carefully what is said. And if a revelation comes to someone who is sitting down, the first speaker should stop… For God is not a God of disorder but of peace (1 Corinthians 14:26-33). From Paul's words here, it would appear that worship services in Corinth were confusing and disorderly, with many people speaking simultaneously. Paul insisted that unless believers listen to one another and defer to each other, they do not benefit from the words the Spirit has given. Some people are still so accustomed to idols that when they eat such food they think of it as having been sacrificed to an idol, and since their conscience is weak, it is defiled (1 Corinthians 8:7). If anyone with a weak conscience sees you … eating in an idol's temple, won't he be emboldened to eat what has been sacrificed to idols? … When you sin against your brothers in this way and wound their weak conscience, you sin against Christ (1 Corinthians 8:10, 12). By failing to consider their fellow believers in this way, they were partly responsible for the sin of their weaker brothers. We can see that Paul was deeply concerned with a variety of abuses in the Corinthians' worship. But at the root of all of these problems was the fact that they were selfish and arrogant. They refused to stop indulging themselves, even when their indulgence caused others to fall into terrible sins like idolatry. As we will see later in this lesson, this refusal to honor and respect others was so reprehensible that at times it rendered their worship worthless. Am I not an apostle?… Even though I may not be an apostle to others, surely I am to you! For you are the seal of my apostleship in the Lord. This is my defense to those who sit in judgment on me (1 Corinthians 9:1-3). I ought to have been commended by you, for I am not in the least inferior to the "super-apostles"… The things that mark an apostle — signs, wonders and miracles — were done among you with great perseverance (2 Corinthians 12:11-12). Some of the Corinthians had become so full of themselves that they actually denied the authority of the very apostle who had converted them. And in his place, they looked to so-called "super-apostles" who were really not apostles at all. I will… cut the ground from under those who want an opportunity to be considered equal with us… For such men are false apostles, deceitful workmen, masquerading as apostles of Christ. And no wonder, for Satan himself masquerades as an angel of light. It is not surprising, then, if his servants masquerade as servants of righteousness (2 Corinthians 11:12-15). Paul refuted these con-men in extremely strong language because he knew their lies could have deadly consequences. If the Corinthians believed the false apostles and rejected Paul's teaching, then they would deny both Christ and the gospel. So we can see that Paul faced a number of problems as he wrote to the Corinthians. As we will see, these problems occupied Paul's thoughts throughout 1 and 2 Corinthians. Now that we have seen some of the important issues that form the background to Paul's epistles to the church in Corinth, we are ready to look at the content of these letters. We will briefly explore each canonical letter to the Corinthians by summarizing the contents of their major sections. Let's begin with 1 Corinthians. First Corinthians is actually the second letter we know of that Paul wrote to the church in Corinth. In 1 Corinthians 5:9, Paul indicated that a prior letter existed by including the words, "I have written you in my letter." The Corinthians also sent Paul a letter, which is mentioned in 1 Corinthians 7:1, and 1 Corinthians appears at many points to respond to issues raised in the church's letter. First Corinthians is arranged in four major sections: a salutation in 1:1-3; thanksgiving in 1:4-9; the main body consisting of responses to letters and reports in 1:10–16:12; and a closing in 16:13-24. The salutation is fairly brief, stating that the letter is from Paul and Sosthenes, and that the church in Corinth is the intended audience. It also includes a short blessing that serves as a greeting. The thanksgiving is also rather short, expressing Paul's gratitude for the faith and spiritual giftedness of the Corinthians, and confidence in their salvation. The closing contains several general exhortations, an endorsement of Stephanas and his household, a final greeting, a blessing, and a note in Paul's own hand verifying the letter's authenticity. The main body consists of two large subsections. Chapter 1:10–6:20 includes Paul's responses to reports he had received from Chloe's household. And 7:1–16:12 contains Paul's responses to the letter he had received from the Corinthian church. In the first of these two subsections, Paul addressed three main issues that had come to his attention through the messages from Chloe's household: divisions within the church; immorality; and Christian associations. As we have already seen, the Corinthian church had a number of problems that resulted in divisions. They were fragmented by loyalties to particular church leaders such as Paul, Peter, Apollos and Jesus. They were divided against one another in lawsuits. And they had become arrogant toward the poor among them and to the poor in Jerusalem. Paul tackled this problem in a few different ways. For example, he argued that if they had only looked to Jesus as their primary leader, and regarded the apostles and teachers as Christ's servants, the Corinthians would not have clashed over their preferences for certain apostles and teachers. By honoring the apostles and teachers of the church too highly they had lost sight of Jesus who far outshined all others. It is written: "I will destroy the wisdom of the wise; the intelligence of the intelligent I will frustrate." Where is the wise man? Where is the scholar? Where is the philosopher of this age? Has not God made foolish the wisdom of the world? (1 Corinthians 1:19-20). Brothers, I could not address you as spiritual but as worldly — mere infants in Christ. I gave you milk, not solid food, for you were not yet ready for it. Indeed, you are still not ready (1 Corinthians 3:1-2). In other words, while the divisive Corinthians thought themselves superior for their wisdom and maturity, in reality they knew little to nothing, and were not even close to being qualified to lead the people of God. Their worldly values had blinded them to spiritual truth. "Everything is permissible for me" — but not everything is beneficial. "Everything is permissible for me" — but I will not be mastered by anything… The body is not meant for sexual immorality, but for the Lord, and the Lord for the body (1 Corinthians 6:12-13). As we have seen, some Corinthians thought that any sexual conduct was permitted now that Jesus had come. Now, elsewhere in chapter 6 Paul mentioned a number of sexual sins that had characterized the Corinthians prior to their coming to Christ, including fornication, adultery, male and female prostitution, and homosexuality. It is possible, though not certain, that his statements about immorality were directed toward members of the Corinthian church who still engaged in these activities. In any event, the church's toleration of the man who cohabited with his stepmother clearly demonstrated their laxity in this area. I have written you in my letter not to associate with sexually immoral people — not at all meaning the people of this world… In that case you would have to leave this world. But now I am writing you that you must not associate with anyone who calls himself a brother but is sexually immoral or greedy, an idolater or a slanderer, a drunkard or a swindler (1 Corinthians 5:9-11). The second major section of the main body of 1 Corinthians runs from 7:1–16:12. This is where we find Paul's responses to the Corinthian church's questions on the subjects of marriage in 7:1-40; in chapters 8–10, meat sacrificed to idols; 11:2-34 deals with questions about worship and is not identified as being responsive to questions from the Corinthians; in chapters 12–14 spiritual gifts; chapter 15 introduces the subject of the resurrection of all believers; in 16:1-12 the collection for the church in Jerusalem and Apollos. The first questions to which Paul responded dealt with marriage, remarriage and singleness. Paul took up these subjects in 7:1-40. Some believers in Corinth adopted asceticism and sexual abstinence even within marriage. The tendency of some Corinthian believers toward asceticism seems to have given rise to questions about sexual behavior within marriage and about the honorableness of marriage itself. In response to this, Paul affirmed both marriage and singleness, and insisted that marriage must include a sexual element. But he also taught that singleness is more advantageous than marriage because singleness allows believers to focus more on "the things of the Lord," that is, on the interests of Christ's kingdom. Some believe that Paul advocated singleness over marriage only during situations of crisis, while others equally apply his instructions to all believers at all times since the first coming of Christ. In chapters 8–10, Paul addressed the subject of meat that had been sacrificed to idols. We have already spoken of meals served in idols' temples, which is the main topic of chapter 8. But in common practice, pagan temples did not eat or serve all of the meat from the animals they butchered, and they often sold the remainder. So, in chapter 10, Paul wrote about meat purchased in the marketplace. He defended believers who ate this meat, so long as they did not do so as an act of pagan worship or in violation of their conscience. But he also taught them not to eat when their actions were likely to be mistaken for idolatry. In the intervening material of chapter 9, he explained his own willingness to restrict Christian freedom, implicitly asking others to do the same. In chapter 11, Paul turned to two matters relating to worship: gender roles, which he addressed in verses 2-16, and the mistreatment of the poor during the Lord's Supper, which he dealt with in verses 17-34. The same arrogance and egocentrism that had led to factions in the church, to lawsuits, and to stumbling weak Christians with food, had also produced believers that disrespected one another in worship. Not surprisingly, Paul's solution was not just to stop the offending behaviors, but also to change the attitudes of the heart. In chapters 12–14, Paul addressed problems related to the use of spiritual gifts. In chapter 12 he explained that the Holy Spirit did not give gifts in order to enhance the status of those gifted, or as a reward to the righteous; rather, he gifted people according to the needs of the church. In chapter 13, which is commonly known as the "love chapter," Paul explained that all spiritual gifts were to be used in love, and that if they were not used in this way, they were worthless. Finally, in chapter 14 he rebuked the Corinthians for their disorderly worship services, and gave instructions on how they were to restrain their use of gifts in public worship. Chapter 15 introduces the subject of the resurrection of all believers. Evidently, some in the Corinthian church denied that believers would be raised bodily from the dead. In response to this error, Paul explained that Christ's resurrection was key to the gospel, and that in order for believers to receive final salvation, they would have to be raised just as Jesus was. Paul completed his answers to the Corinthian's questions in 16:1-12 by giving them instructions on how to take up the collection for the needy church in Jerusalem, and by making a few comments about Apollos. Now that we have looked at the content of 1 Corinthians, we should turn our attention to the content of Paul's second canonical letter to the Corinthians. Second Corinthians can be outlined in a variety of ways. 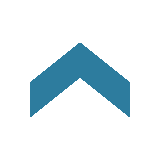 We have chosen here to present its material under four major headings: a salutation in 1:1-2; an introduction in 1:3-11; the main body in 1:12–13:10; and a closing in 13:11-14. The salutation states that the letter is from Paul and Timothy, and identifies the church in Corinth and the saints in the surrounding region of Achaia as the intended audience. It includes a short blessing that serves as a greeting. The inclusion of an introduction is somewhat atypical of Paul. This particular introduction describes the intense suffering that Paul underwent for the sake of his ministry, as well as the comfort he received from God. While it primarily functions to make the Corinthians sympathetic toward Paul's arguments, it also offers great consolation to all believers who suffer for the sake of the gospel, even referring to the Lord himself as "the God of all comfort." Moreover, it encourages those who suffer to learn from their experience how to comfort others who suffer.  The closing is quite brief, consisting of a few general exhortations and a final greeting. The main body takes up the bulk of the letter, and includes five major subsections: a defense of Paul's conduct in 1:12–2:11; a defense of Paul's ministry in 2:12 –7:1; instructions regarding the collection for Jerusalem in 7:2–9:15; a continuing defense of Paul's ministry in 10:1–12:13; and a discussion of Paul's upcoming visit in 12:14–13:10. In 1:12–2:11, Paul defended his conduct in two matters. First, he explained why he had not visited Corinth as he had previously planned, and second, he addressed a wrong that had been done to him by one of the Corinthians. Evidently, after Paul had made known his plans to visit Corinth, a conflict had arisen between him and some within the Corinthian church. As a result, Paul knew that if he were to visit them, he would have to be confrontational, perhaps even disciplinary. So, as an act of forbearance on Paul's part, he changed his travel plans. A number of Christians in Corinth failed to realize that this was an act of mercy, and were quite offended by his withdrawal. Some even questioned his credibility. In what may have been a related matter, Paul also addressed the situation of a particular believer who had wronged him and who had subsequently been disciplined by the church. Paul assured the church that he had forgiven the man, and that the discipline had been sufficient. And he instructed the church to reaffirm their love for the man and to restore him to their fellowship. In 2:12–7:1, Paul addressed a far more serious issue: certain individuals within the Corinthian church continued to doubt Paul's apostleship. As we have already seen, Paul had addressed this issue in 1 Corinthians. But from his words in 2 Corinthians, it is obvious that a number of Christians in Corinth had not repented of their error. So, Paul provided an extensive defense of the nature of his ministry, proclaiming that his call and his power both came from God, and making it clear that to reject his apostleship had grave consequences. God … gave us the ministry of reconciliation; namely, God was reconciling the world to himself in Christ, not counting men's sins against them… We are Christ's ambassadors… Be reconciled to God (2 Corinthians 5:18-20). "The one who listens to you listens to me, and the one who rejects you rejects me" (Luke 10:16). This subject was so important that Paul spent much of this letter addressing it in various ways. The last thing he wanted was for the Corinthians he loved so dearly to perish because they refused his gospel. The third subsection consists of instructions regarding the collection for Jerusalem, and spans 7:2–9:15. The Christians in Jerusalem were in great need at this point in time because of a famine in Judea. In response to this crisis, the Corinthian church, along with many other churches, had committed to sending funds to aid them. But the Corinthians had failed to finish collecting their contribution. So, Paul engaged in a lengthy discussion of the value of sacrifice for the sake of others. He appealed first to the exemplary giving of the Macedonian churches, who gave even more than they could afford to give, and were happy for the honor of serving in this manner. He also appealed to the example of Christ, who gave up his very life that the Corinthians might enjoy abundance. Beyond this, he encouraged the Corinthians that God would bestow great blessings on them if they followed through with their prior intentions. In 10:1–12:13, Paul returned to defending his apostleship. It would seem that the Corinthians Christians highly valued in their leaders those traits that were well respected in the world, and because Paul did not exhibit these traits, many in Corinth discounted his teaching and authority. For example, the Corinthians apparently valued trained speakers, and expected their leaders to draw a salary of sorts. Because Paul did not practice professional rhetoric, and because he chose to support himself financially while in Corinth so as not to burden the church, he was considered inferior. Men like this are false apostles, deceitful workers, masquerading as Christ's apostles. It is no wonder, for Satan himself masquerades as an angel of light. Therefore it is no great thing if his servants masquerade as servants of righteousness (2 Corinthians 11:13). By calling the false apostles servants of Satan, Paul made it clear that they were unbelievers and liars, and that those who listened to them did so at their own peril. Test yourselves to see if you are in the faith; examine yourselves. Or do you not perceive that Jesus Christ is in you? — unless, of course, you fail the test (2 Corinthians 13:5). Paul knew that many who professed faith did not actually trust in Christ for the salvation. So he earnestly preached the gospel of repentance, faith and salvation to the Corinthian church in the hopes that his opponents would become genuine followers of Jesus Christ. Having looked briefly at the background and content of Paul's canonical letters to the Corinthians, we should turn our attention to our third concern: Paul's theological outlooks as reflected in 1 and 2 Corinthians. So far in this lesson, we have reviewed several specific problems that Paul tackled in 1 and 2 Corinthians. And we have suggested that the Corinthians' poor understanding of eschatology significantly influenced all these problems. So, as we have done in our previous lessons on the heart of Paul's theology, we will now turn our attention to the ways in which Paul used his doctrine of the last days or his eschatology to correct his audience. As we have noted throughout these lessons, Paul's eschatology was rooted in common Jewish outlooks on God's design for history. During the first century, the dominant Jewish understanding was that the Old Testament divided history into two ages: "this age" and "the age to come." "This age" was the present age of sin, judgment and death, while "the age to come" was the future age of ultimate blessings for God's people and final judgment against his enemies. The event that marked the transition between the ages was the coming of the "Messiah" or "Christ." When the Messiah came, it was thought that he would end this age and begin the age to come. Of course, followers of Christ, such as Paul and the other apostles, recognized that history had not unfolded in precisely the manner Jewish theology had expected. Beyond all doubt, Jesus was the Messiah, and he inaugurated the age to come. But he did not completely fulfill all the promised blessings. In short, we live in a time when the coming age of eternal salvation is "already" here in some ways, but "not yet" here in others. Ours is a time when the present age and the age to come exist simultaneously. During this overlap of the ages, although we enjoy many blessings of the age to come, we also must recognize the strife and hardship that continue to exist in the age of sin and death. Paul knew that this pattern of eschatology created difficulties for the early church because it left them guessing at how much of the age to come was already present. In previous lessons, we have seen that some believers took rather extreme positions on this matter. For example, the Thessalonians developed what we called "overheated eschatology," believing that in the immediate future, Jesus would do away with the present age and consummate the age to come in all its fullness. As a result, they considered life in this age to be largely unimportant. The Galatians, in turn, acted as if the age to come had not arrived in any significant way. We labeled their error "under-realized eschatology." As we look closely at the problems in Corinth and at Paul's responses to them, we will see that the Corinthians also had greatly misevaluated the plan of the ages. In their minds, the present age of sin and death had largely ceased to exist, leaving them free to enjoy the full bounty of the age to come. Their error was one of "over-realized eschatology." So, as Paul spoke to the specific issues in their church, he taught them how to evaluate and live their lives properly during the overlap of the "already" and the "not yet." Although Paul addressed the Corinthians' problems in numerous ways, we will focus on three elements of his eschatology that regularly surfaced in these letters: faith, especially with regard to the preeminence of Christ; hope in the future rather than in the present world; and love as a critical element of Christian living. Let's look first at the ways Paul emphasized the preeminence of Christ to cure the imbalances in the Corinthian's faith. In this lesson we have seen that the Corinthians' pride and arrogance caused many problems in the church. In large part, this arrogance developed because the Corinthians had lost sight of the exaltation of Christ as Lord over all and Savior of all. With regard to Christ's Lordship they de-emphasized his role in consummating and ruling his kingdom. Who considers you superior? And what do you have that you did not receive? And if you received it, why do you boast as if you did not? You are already filled, already rich — you have begun to reign without us… We are fools because of Christ, but you are so wise in him! We are weak, but you are strong! You are glorious, but we are dishonorable (1 Corinthians 4:7-10). In this passage Paul mocked the arrogant thinking of these Corinthians. They thought they had merited status and honor, but in fact it was Christ who had given them these things. They knew that Christ's loyal followers would reign on the restored earth with him one day, but they foolishly thought that their reign had begun even though Christ had not yet returned as king. And they claimed for themselves wisdom and strength and glory that rightly belonged to Christ alone. In certain respects, these errors are understandable. The Corinthians rightly assessed that believers will reign on the new earth after Christ has restored it. And they properly understood that believers receive eternal rewards based on their actions in this life. Since they believed that the final state of the kingdom was basically at hand, it was natural for them to think that they had already been glorified and had received their rewards. Moreover, since Christ was nowhere to be seen in this supposedly restored kingdom, it would have been easy for them to downplay his ongoing role as ruler. But whether or not their errors are understandable, they were not acceptable. In fact, they were wreaking havoc in the church, largely by dishonoring and damaging those believers who were not in positions of influence. So, to correct this problem, Paul emphasized the fact that the age to come had not yet been realized in all its fullness. No one had "begun to reign." Everyone still awaited Christ's return. The Corinthians also failed to exalt Christ by devaluing his role as savior. Specifically, they overlooked the fact that only through union with Christ do believers receive the blessings of the age to come, including spiritual gifts and honor. Through union with Christ, believers share in Christ's identity and merit. And because of this, God looks upon them as if they were Christ himself, so that he grants them the status, honor and gifts they enjoy in the church. But in the minds of many Corinthians, gifts and honor were earned by individual believers. They thought that if a Christian had influence and status, it was because that person deserved these things. And if a believer lacked such earthly prominence, it was because he or she was an inferior Christian. [Christ] died on behalf of all, in order that those who live would no longer live for themselves, but for him who died on their behalf and was raised again. Therefore, we no longer know anyone according to the flesh… If anyone is in Christ, there is a new creation. The old things are gone; behold, new things have come (2 Corinthians 5:15-17). For the weak one is destroyed by your knowledge, the brother for whom Christ died. When you sin against your brother and strike his conscience, you sin against Christ (1 Corinthians 8:11-12). [Jesus] said, 'This is my body, which is for you. Do this in memory of me… This cup is the new covenant in my blood; do this… in memory of me'… Therefore whoever eats the bread or drinks the cup of the Lord in an unworthy manner, shall be guilty of the body and the blood of the Lord (1 Corinthians 11:24-27). Paul reminded the Corinthians that Jesus had given himself for all of them, not just for the wealthy and powerful. And he reminded them that it was only through Christ, whom all believers possess equally, that they received the blessings of the age to come. Finally, he made the point that to participate in the Supper in an unworthy manner, that is, to mistreat the poor or other believers during the Supper, was to sin against Jesus himself. Throughout his letters to the Corinthians, Paul continually pointed to union with Christ as a basis for honoring, valuing and ministering to other believers. He did this in 1 Corinthians 12:12 when he wrote that believers rely on one another in the same way that parts of the human body do. He did it again in 2 Corinthians 1:5 when he encouraged believers that they would share in Christ's comfort. Time would fail us if we mentioned every way that Paul expounded upon these ideas in his letters to the church in Corinth, so we will have to be content with summarizing his thinking as follows: Believers participate in the blessings of the age to come only through union with Christ. When we recognize this, we can give proper glory to Christ and avoid many sins rooted in arrogance. The form of this world is passing away (1 Corinthians 7:31). The rulers of this age… are being cut off (1 Corinthians 2:6). Flesh and blood cannot inherit the kingdom of God (1 Corinthians 15:50). Of course, the Corinthians knew that they were of flesh and blood, so this statement indicated to them that they could not, in their current state of existence, receive their full eternal rewards. Similarly, Paul argued in 1 Corinthians 4:8 that the Corinthians had not yet begun to reign with Christ. That would be another aspect of life in the fullness of the age to come. In Christ all will be made alive. But each in his own order: Christ is the firstfruits; and then those that are in him at his coming. Then it will be the end, when he gives the kingdom to God the Father, when he has cut off all rule, authority and power (1 Corinthians 15:22-24). Believers must be raised from the dead, just as Christ had been, but their resurrection will not take place until Christ returns. Then, they will spend eternity with Him in their glorified bodies. His return, and their resurrection, will signal the end of the present age with its rule, and authority, and power. If we have been hoping in Christ for this life only, we are more pitiable than all men (1 Corinthians 15:19). By speaking plainly of the provisional nature of the present world, Paul hoped to give the Corinthians a realistic perspective on their lives and their church. And he hoped that this new perspective would cause them to repent of their arrogance and sin. The last of Paul's theological outlooks that we will mention is the importance of love. Generally, we think of love as the summary of the whole law of God, or as the greatest commandment, but not as an element of eschatology. Nevertheless, while it is true that love is just as important in the present age as it is in the age to come, it is also true that for Paul, love was what we might call an eschatological virtue. That is to say, it was a key element in his theology of the last days. Love never dies. But if there are prophecies, they will pass away. If there are tongues, they will cease. If there is knowledge, it will pass away. For we know only partially, and we prophesy only partially, but when the perfect comes, the partial will pass away… And now remain faith, hope and love, these three, but the greatest of these is love (1 Corinthians 13:8-10). His point was that many aspects of life in the present age will not continue when the age to come arrives in all its fullness. Neither prophecy nor gifts of knowledge will be of any use when the things of which they speak are right in front of our faces. In the same way, even high Christian virtues like faith and hope will have no real place in the fullness of the age to come. Of all of the spiritual gifts and Christian virtues that Paul mentions in this chapter only love will continue to be manifested and treasured in the fullness of the age to come. We love now and we will love then. We are loved now and we will be loved then. Love itself is a participation in the blessings of the age to come. Actually, it is the chief expression of those blessings. In other words, his argument about not eating idol food was really an argument about how to love. Christ's love controls us. We are convinced of this, that one died for all, therefore all died. And he died for all in order that the ones who live would no longer live for themselves but for him who died for them and rose again (2 Corinthians 5:14-15). If I speak in the tongues of men and of angels, but I do not have love, I have become a noisy gong or a clanging cymbal. If I have prophecy, and I know all mysteries and all knowledge, and if I have all faith, so as to remove mountains, but I do not have love, I am nothing (1 Corinthians 13:1-2). Prophecy, tongues, supernatural knowledge and miracle-working faith all seem impressive when evaluated from a worldly point of view. But in reality, they are given for the spiritual benefit of believers, not for their worldly value or experiential pleasure. Unless they are used lovingly, spiritual gifts do not confer spiritual blessings. Only when used in love did these gifts mitigate the suffering and death of the present age by allowing the church to participate in the blessings of the age to come. In this lesson we have seen how Paul responded to the problems that arose in the church of Corinth. We have reviewed the background to his relationship with this church, as well as the content of his canonical letters to them. Finally, we have seen how Paul applied the heart of his theology to their problems, calling on believers to reevaluate their over-realized eschatology, and thereby to repent of their sin, to learn humility, to honor one another, and to hope and strive for the future state of the kingdom of God. As we consider how Paul handled the Corinthian church, we realize that his eschatology was an essential element of his solutions to their problems, and also that it can instruct us today. Many Christians still think more highly of themselves than they ought to think, still reflect on their gifts with pride, and still orient their lives around their own needs and desires. Churches today continually struggle with divisions and factions, and with sexual sin. And some even treat the revelation of God's prophets and apostles, such as Paul, with disregard or even contempt. But Christ did not call Paul as his ambassador in order that we might ignore him, and Christ did not live and die for us only that we might content ourselves with this present fallen world. As we listen to the heart of Paul's theology, it exhorts us, just as it did the Corinthians, to love one another, and to focus on Christ as we wait the consummation of the ages at his return.